May | 2011 | gawa. 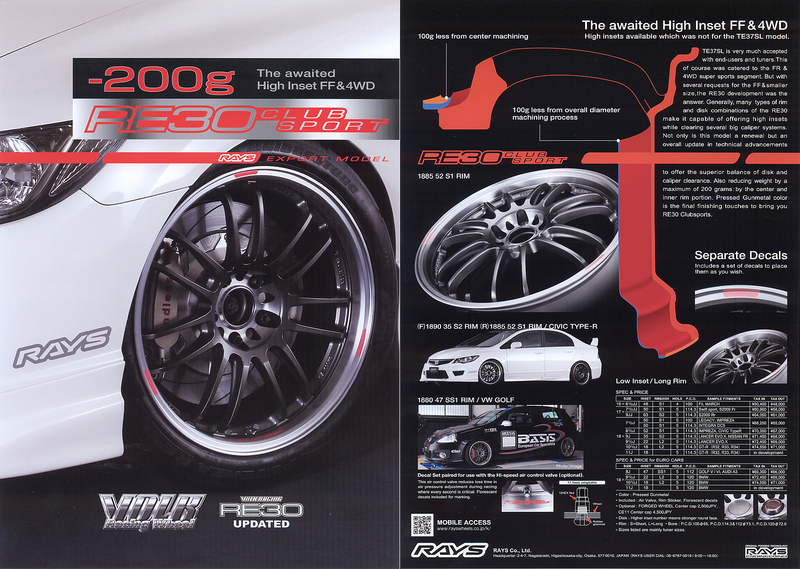 A la TE37 Super Lap style, an extra 200g is shaved off the RE30 clubsport vs the regular RE30. I can’t say I haven’t run knock offs before, but as far as I know I’ve cleansed myself of it, and I hope others do the same. Ultimately, it’s your money and you can do whatever you want with it. But like what Ben mentions, somebody has to come up with these designs that get knocked off… I don’t foresee companies specializing in replicas coming up with designs by themselves… As consumers, the ball is in our court.